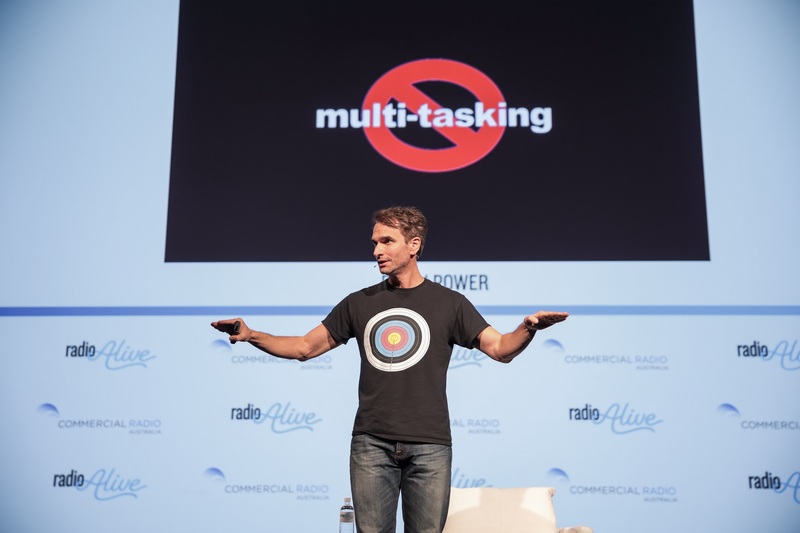 Advertising guru Todd Sampson has dished out some sound advice on improving one’s creative ability, identifying the “big three” ways to do so. Speaking at the Radio Alive 2018 conference in Melbourne last Friday, Sampson said the mental skill that is the last remaining competitive advantage an individual or organisation can have in today’s technologically-driven world – a skill that machines have not been able to replicate – is mental flexibility, or also known as creativity. The former boss of Leo Burnett identified two major things that impact creativity as people age. “The first one is the ‘law of least effort’ – basically, our brain is fundamentally lazy, or as the scientists say, it is necessarily efficient,” Sampson said. The second thing that impacts us as we age, according to Sampson, is ‘functional fixedness’. “We defend more, question less,” he said. “The other thing that statistically correlates with increasing functional fixedness as we age is increasing arrogance. Using his own real-life scientific experiences from his TV show Redesign My Brain, Sampson explained what he dubs as the “big three” ways to improve creativity and mental flexibility, adding that they all cost nothing. He recommended learning another language as a great way to improve your creativity through forced adaptation. The second of the big three ways to improve creativity – and the best technique on the planet for memory, according to Sampson – is visualisation. “The main reason why visualisation is so powerful is that what you visualise becomes you,” he said. The final way to boost mental flexibility – and the most important mental skill of all mental skills in Sampson’s eyes – is emotional regulation. “Those that are able to regulate their emotions are more successful than those that are not,” he said. “The brain that we all carry around with us is remarkable, and with the right training, conditioning and mindset, we can achieve almost anything.